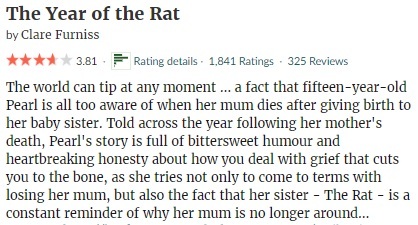 This entry was posted in 2018, 3 Star Rating, 3.5 Star Rating, Book Reviews, Yvo's Shorties and tagged 3 star rating, 3.5 star rating, book review, champion, clare furniss, contemporary, death, dystopia, family, fiction, grief, het jaar dat de wereld op zijn kop stond, legend, marie lu, published in 2013, published in 2014, read in dutch, romance, science fiction, series, the year of the rat, ya, Yvo's Shorties by Yvo. Bookmark the permalink. Great reviews Yvo! 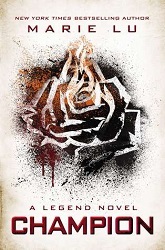 The Legend series is one that has been on my list but then I gave up haha. I am now convinced that I am not the best audience and made a good call by not picking it up. 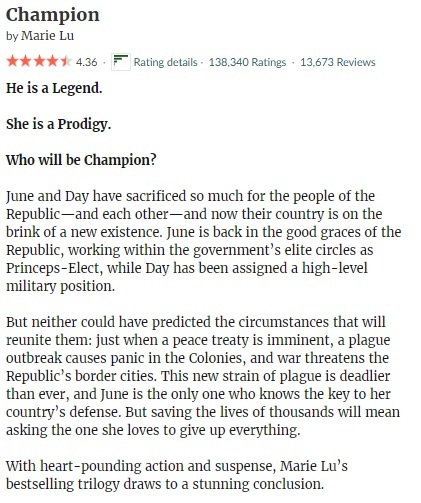 Yeah I’m not sure if you would enjoy the series… I’ve heard The Young Elites is better and I’m really curious about that one, although in way I’m afraid it will be another cliche YA dystopian series. I do tend to like YA dystopian (huge Hunger Games fan) but is hit and miss haha. Yes haha. I have been spacing them way out and favoring adult spec fic more of late. 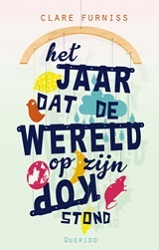 I think it’s great you read in Dutch! I also am trying to make an effort to read a bit more in Estonian… I find the differences in what a language other than English can bring across in a book so vast… Is it the same with Dutch? The descriptions and the way the language can be so much more colorful than English? It took me years to actually finish the Legend series, so I can relate haha. And about reading in Dutch… I confess my Dutch is really rusty and it no longer feels ‘natural’ reading in the language; it makes it hard to compare. But I do have a similar experience with Spanish. Because the language has a very diverse vocabulary they have a lot more options to describe a situation or character and this can make the prose a lot more interesting. I personally prefer the more ‘direct’ way of the English language, but it’s nice seeing the differences.